Congratulations to Stay Tuned, who won our first-ever ICHSA Semifinalist Video round (competing against other semifinalists from around the country who couldn’t attend their semifinal due to scheduling conflicts) to get the chance to submit a video to the ICHSA Wild Card round. 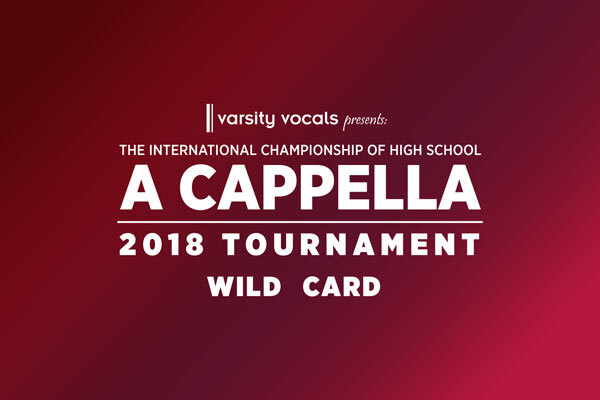 They will be moving on to the 2018 International Championship of High School A Cappella Finals at Alice Tully Hall in New York City on April 20th. Rachel Bearer is a singer, songwriter, vocal arranger, producer based out of Los Angeles. Operatically trained, she switched her focus to pop/rock in her final years at the University of Southern California and has never looked back. Her vocal group, ARORA, formerly known as SONOS, signed to Verve records and spent the next three years touring the U.S. and the U.K. Rachel has worked on eight Barbie films for Mattel, countless Lalaloopsy spots and commercials, Disney U.K. and Disney U.S., Buzzfeed, and Nickelodeon’s new hit show, “School of Rock.” Rachel has had the opportunity to perform and collaborate with incredible artists such as Ben Folds, Sara Bareilles, The Pet Shop Boys, Kanye West, and Tom Odell. Candice Helfand-Rogers has been active in the a cappella community for decades. At Rutgers University, she sang with and music directed Deep Treble, then went on to help found (and music direct) ShockWave. After graduating in 2005, she teamed up with several collegiate a cappella alumni in New York City to form Restated (formerly known as The Red States), and served as musical director for its first three years of existence. She has garnered multiple awards for her contributions to these groups, both onstage and in the studio. Candice’s voice can also be heard in Universal Studios’ hit a cappella movies, “Pitch Perfect” and “Pitch Perfect 2.” She performs to this day with numerous New York ensembles, including Restated, Broadway Inspirational Voices, and Ghostlight. By day, she is a writer at a nonprofit called The Story Exchange and serves as a content producer for the Women’s A Cappella Association (WACA). She has previously written for CASA and A Cappella Records. Dr. Justin John Moniz maintains an active career in concert, opera, and musical theatre. Most recently, he starred alongside Emmy nominee Tituss Burgess (of “Unbreakable Kimmy Schmidt”) in Sondheim’s “Into the Woods” at the Adrienne Arsht Center. As a two-time winner of The American Prize in Voice, Justin recently made his Chicago Symphony Center debut. This season includes performances in Hawaii, Indiana, Florida, and Illinois. He holds degrees from Florida State University, the University of Miami, and SUNY Potsdam, and currently serves as Coordinator of Vocal Studies at Millikin University and Executive Director of the Hawaii Performing Arts Festival. Justin is thrilled to return for his fourth season as a Varsity Vocals judge. For more information, visit www.justinjohnmoniz.com. Jessie Louise Mark graduated from Duke University in 2011, where she majored in history and minored in music. She is currently pursuing an M.B.A. at the University of Michigan’s Ross School of Business. During her four years as a member and director of Duke’s award-winning all-female a cappella group, Lady Blue, Jessie developed a love for music theory and a cappella education. She has taught beginner music theory and vocal arranging at a cappella festivals around the country, and currently serves as the Scholastic Festival producer of The Betsy A Cappella Festival and education coordinator for the Los Angeles A Cappella Festival. Jessie sings and beatboxes with VXN, a bi-coastal all-female vocal quintet, and Ross’s house rock band, Risky Business.